Danita Dahl is majoring in Animal Sciences through the College of Agricultural Sciences. 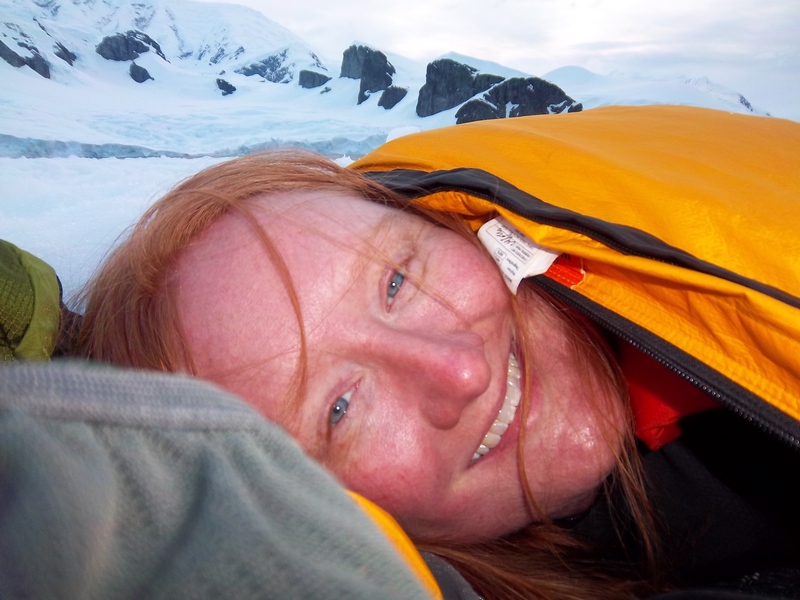 To experience research in the field, she traveled to one of the remote places on Earth, Antarctica! This OSU faculty-led program combined in-class instruction, online activities, field activities and assignments to learn more about this interesting place. Read on to experience what it is like being Antarctica! Antarctica is a vast continent with untamed beauty and remoteness that can’t help but to have an effect on its visitors. The reasons I signed up for this adventure were two-fold: I wanted to travel to a place like I had never been before and I wanted to see what it was like to conduct research in the field under Fish & Wildlife. During my journey I was able to connect the class experiences with my field experiences, but now that I have been back for two weeks, I still feel that I have not fully realized Antarctica’s personal effect on me. It is a location that truly emphasizes how small we are in the world and yet how connected everything is. Our last stop on the South American continent was at the current most southern city in the world, Ushuaia. I say the most current because our guide in the area noted that there is an island just off the coast of this pleasant city that is becoming more populated over the years and may end up taking its title. The day we departed Ushuaia the temperature was 7ºC. It was cooler than Buenos Aires where we had come from, but was still nice weather since it was summer in the southern hemisphere in December. Many of the members of our group noted the beach dresses and swimming suits in the shop windows and the fact that this did not reflect the local’s attire as they were all wearing jackets and long pants. As we departed the port aboard the ship, I saw seagulls and during dinner we noted a large gathering of shag. We had heard a lot in the classroom lectures about the Drake Passage that we would be going through around midnight that night. Many of the researchers who had spoken to us during that time had stated that the Drake is not too bad until it is. This is because this passage is located between Cape Horn and the northern tip of Antarctica where the Southern Ocean’s movement, previously unimpeded, must bottleneck through this narrow and relatively shallow waterway. Even at dinner we were unsure what was truly waiting for us ahead. Although we had been told by the captain that it should not be too rough, it did not put everyone at ease and much of the first conversations on the vessel were about possible sea sickness and the precautionary measures people had taken to dampen any effects of the new sensations of being on the water. Much of these first days reminded me of summer camp since they were packed full of lectures, equipment hand out and fitting, safety drills, and environmental protocol briefings. The vessel, the Academik Ioffe, carried approximately 100 passengers and crew. Our group consisted of thirty of those individuals and we quickly broke into smaller groups in order to get to know each other easier – not on purpose of course, but this is what I have found happens when you are traveling in a large group. Throughout the trip people transferred from group to group and we ended up getting to know each other pretty well. On the first day that we awoke on the vessel we started our research objectives – which for us meant 15 minute shifts of bird watching from the bridge deck that were scheduled just prior to the meals. Our journey through the Drake Passage had turned out quite mild and our weather was truly spectacular, although windy, with 4ºC air temperature and a long day in store starting with sunrise at 4:30 am and sunset not until 10:10 pm. My group started the shifts that morning and we encountered many more species of birds than we had seen closer to shore. We noted blue petrels, wandering albatross, cape petrels, and black-browed albatross in our log. This change in diversity did not surprise me since in class we learned that you often see more types of pelagic seabirds further from the coastlines. This also looked like a good start to our project since if this trend extended our full journey southward it would prove our hypothesis. Many of us chose to spend any free moment outside admiring the vastness and trying to get the first glimpses of unique birds, any whales, or ice that was to be seen. I found myself in awe of the flight patterns of the albatross – although we had learned of these magnificent birds in class you do not get the true value of the size or grace of these animals until you are close up in their environment. This is also the time that I truly appreciated the fact that this enormous continent of Antarctica is out there and that over 90% of the world’s population of almost 7 billion people would never see it and never get to feel the rolling waves from horizon to horizon seemingly dropping off the end of the world itself. I imagined being one of the first explorers and realized, quite clearly, why they might have assumed that the world was flat with an image of this water flowing furiously downward forming an implausibly large waterfall into nothingness. That night, making good time at 12 knots, we crossed the Antarctic convergence, which is a climatic boundary between the colder water with lower salinity surrounding the continent and the contrasting waters north of the convergence. This quick change provides a bounty of nutrients and is where the northern and southern foraging seabirds overlap. We learned in class that this area provides significant support to the Southern Ocean ecosystems through an up welling of deeper water as well as the temperature regulation of the oceans as a whole. This transition was quite noticeable to the passengers of the ship since the temperature at wake up was hovering around -1ºC. However, this was alleviated with the lack of 12 m/s winds which had been replaced with mere 9 m/s gusts. During my shift, just before lunch this day, was an eventful one. We were the first to spot penguins! They were porposing chinstraps off the port bow of the ship which occasionally stopped to preen themselves seemingly oblivious to the ship just behind them until we were almost on top of each other. This day, December 20th, we also got the pleasure of witnessing humpback whales in action. These two events made this day special to me since I and the other passengers became members of an exclusive few who get these memories forever. The field work was conveying what seemed like a good trend of continuing progression of the seabird diversity with today showing the greatest diversity seen on the trip thus far. This night it was difficult to sleep because we knew what that night and the following day would bring us – the first sightings of sea ice and the first steps onto land in the Antarctic! To learn more about international opportunities at OSU, click here! Posted in Returnee, study abroad, Uncategorized. Hi, just wanted to say, I liked this blog post. It was funny. Join the 500+ students going abroad at Oregon State each year! © 2019 OSU Abroad, all rights reserved.